Campers live in cabins, each equipped with electricity, hot water, two or three showers, two or three sinks, two or three toilets, and storage space. 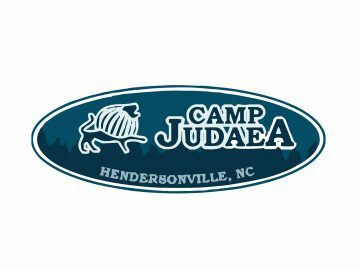 In addition, campers enjoy spacious modern wooden bunk-beds with comfortable and hygienic mattresses, as well as space to store clothing and personal items. 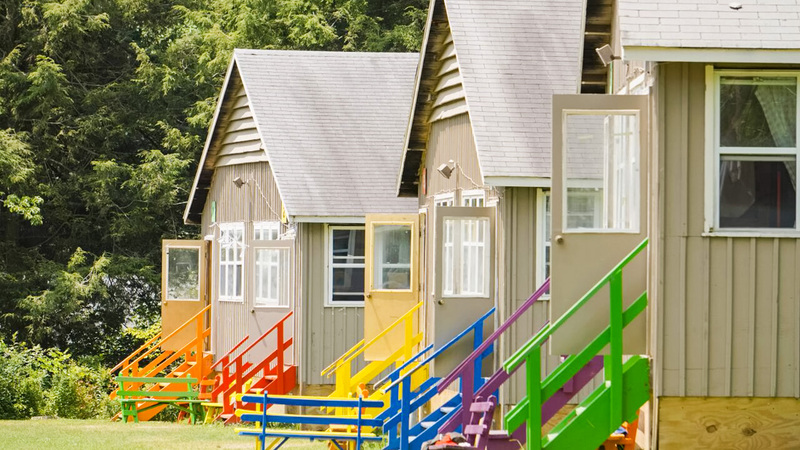 Each of our camper cabins is supervised by 3-5 caring and loving staff members. Daily cabin clean-up competitions (“Nikayon”) encourage each camper to care for his/her own belongings and to cooperate with the group. Our housekeeping staff sanitize each camper bathroom on a regular basis. 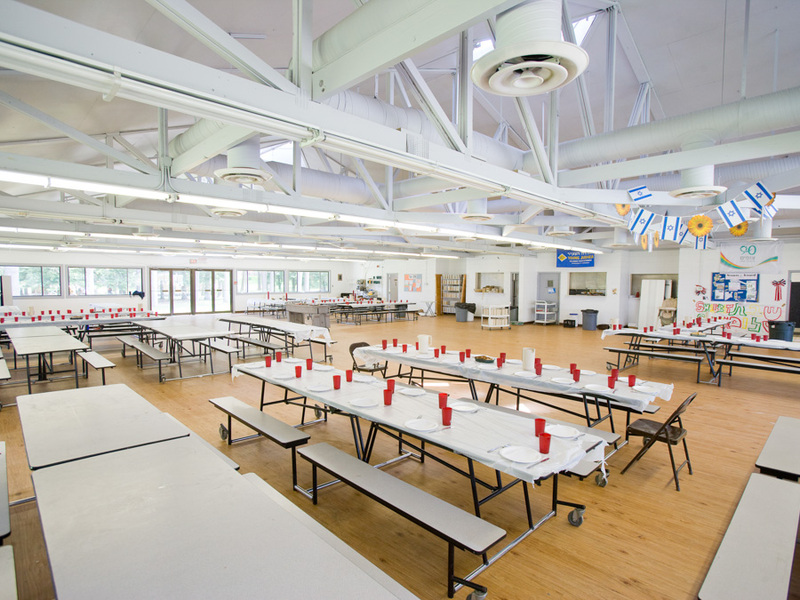 Our camp community dines together in one seating at every meal in our air conditioned dining hall. 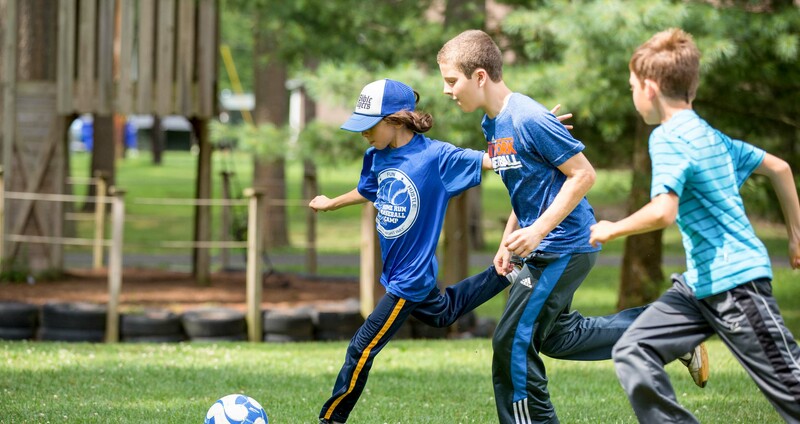 Our campers RAVE about our healthy and delicious food, which are prepared in our modern, fully equipped, kosher kitchens with separate facilities for meat, dairy and pareve. 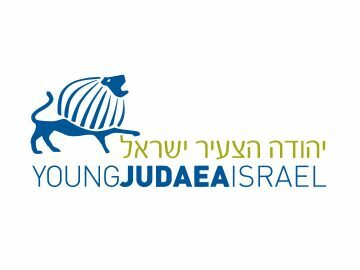 We strictly adhere to the laws of Kashrut. Meals are served family-style. Special diets and vegetarian options are available for those who request them in advance. View a sample menu. 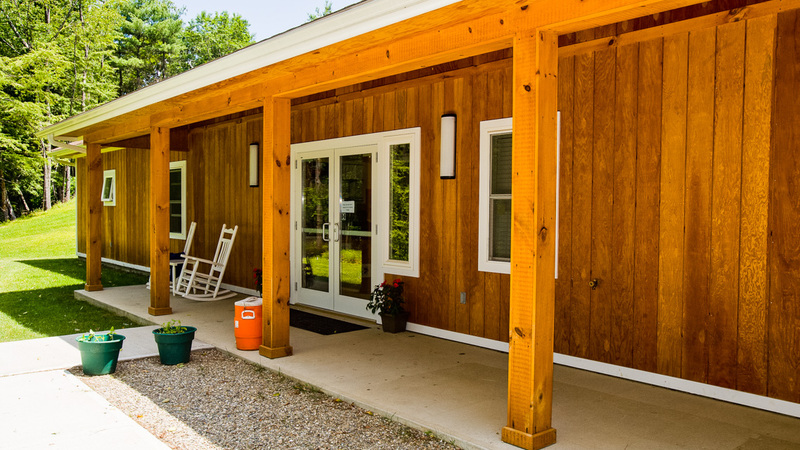 Camp Young Judaea Sprout Lake is proud to offer a state-of-the-art, air conditioned Health and Wellness Center, which is staffed by a resident Physician, Registered Nurses (RN) and health aides . In addition, staff members are Red Cross certified in CPR, First Aid, Lifesaving, and CPR for the professional rescuer. 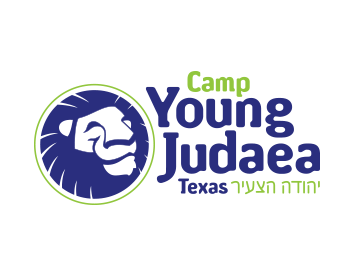 Camp Young Judaea Sprout Lake meets or exceeds all health and safety standards set by the American Camp Association. This facility includes a private exam rooms, isolation rooms, and separate sleeping quarters for boys and girls. 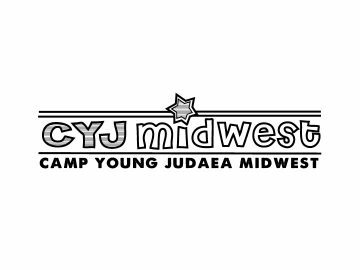 Camp Young Judaea Sprout Lake’s Aquatics center is equipped with two large pools! Our first pool, mainly used for instructional swim, goes as low as three feet and up to eight feet, where our advanced swimmers can learn how to dive. Our second pool has a beachfront entrance and is 5 feet at it’s deepest. We also have a 40 foot tall twisted water slide which provides endless amounts of entertainment for our campers! 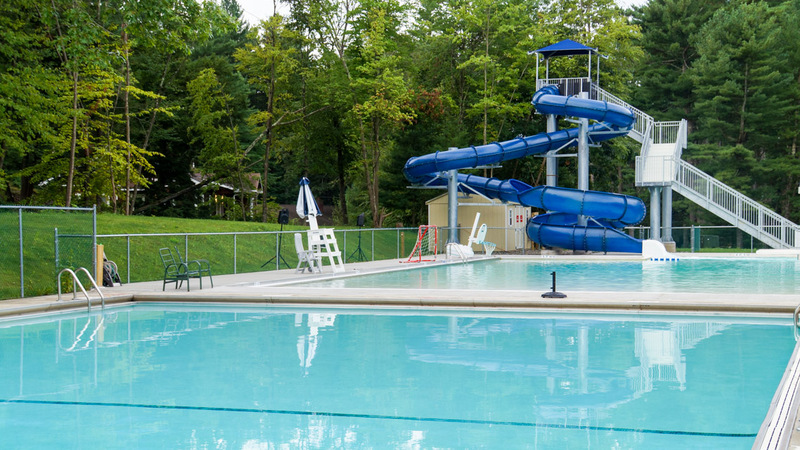 Campers can visit the pool twice a day, once for instructional swim, and once for recreational swim. Sprout Lake’s Athletic facilities include a lighted outdoor basketball court (resurfaced for summer 2017), three tennis courts (resurfaced for 2018), two Ga-Ga pits, a softball field, a soccer field ( also used for ultimate Frisbee and lawn games), an archery range, and an indoor basketball court that is also used for our gymnastics program, floor hockey and dodgeball. 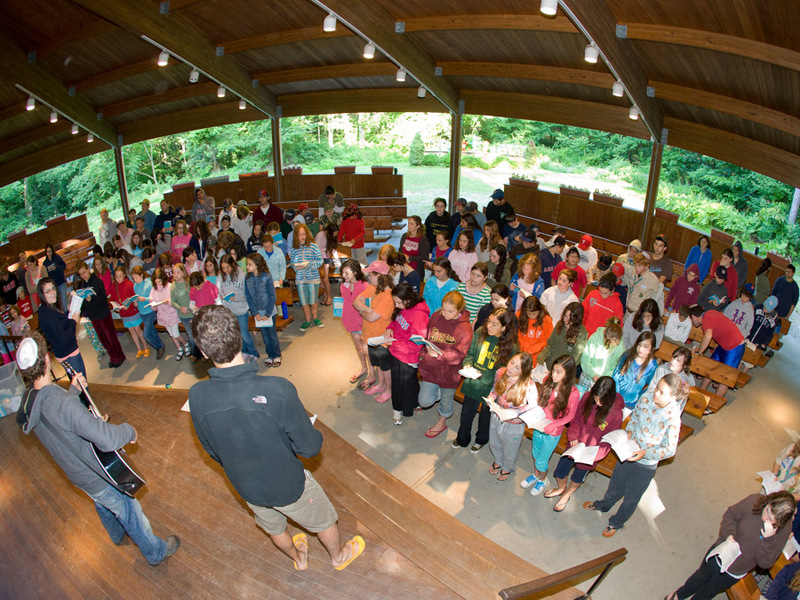 Our outdoor synagogue is located in the woods, providing an inspirational setting for our morning tefilah (prayers) activity. Kabbalat Shabbat services and other fun activities are offered in our new Ampitheater which provides campers with a spectacular sunset view. 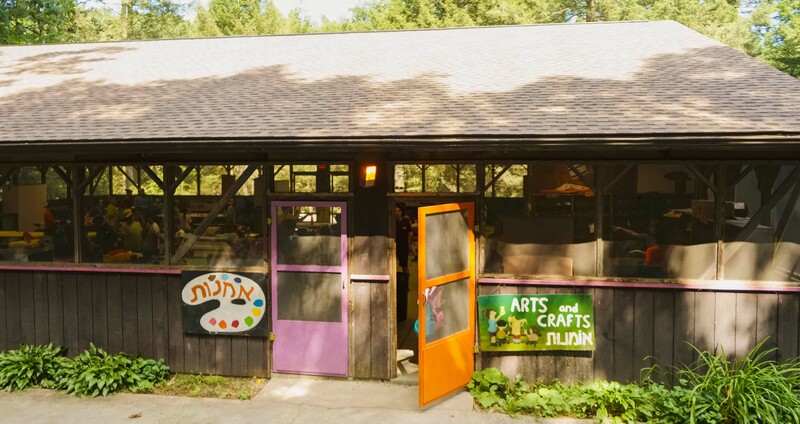 Sprout Lake’s large and recently built Studios building provides space for many of our activities, including; jewelry making, video editing and dance. The Studios is air conditioned and has movable walls which can convert from three small rooms into one large room, for larger group activities. 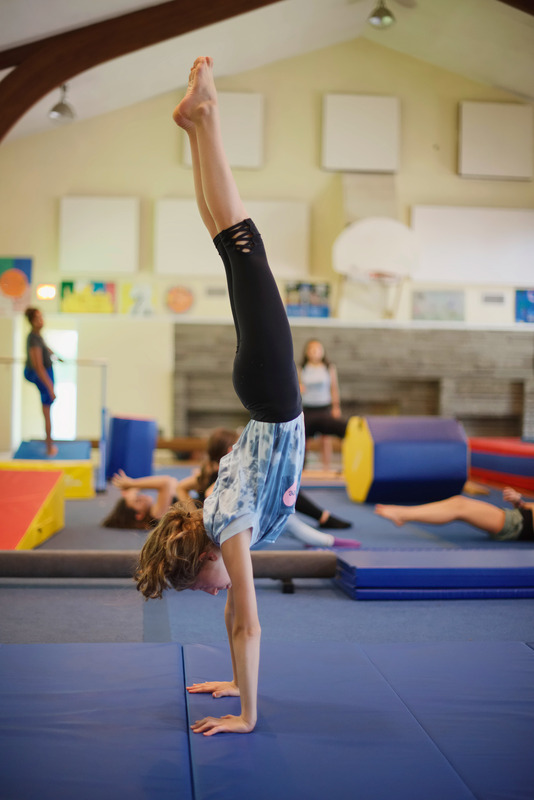 The Beit Ha’am is a large indoor activity space which is home to our gymnastics program, complete with mats, balance beams and other gymnastics equipment. 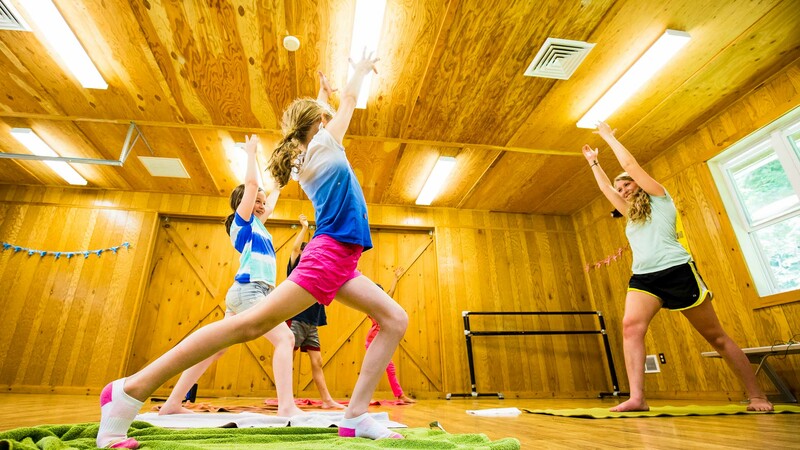 The Beit Ha’am is also a great place for quiet activities such as Yoga. Sprout Lake’s Omanut pavilion is the spacious and airy home to our ceramics program, printmaking, sewing, woodworking as well as a wide variety of other art programs. Our Omanut pavilion is covered but is also screened-in, which makes it wonderful for any weather! Our low ropes course has nine elements built for bunk team building. 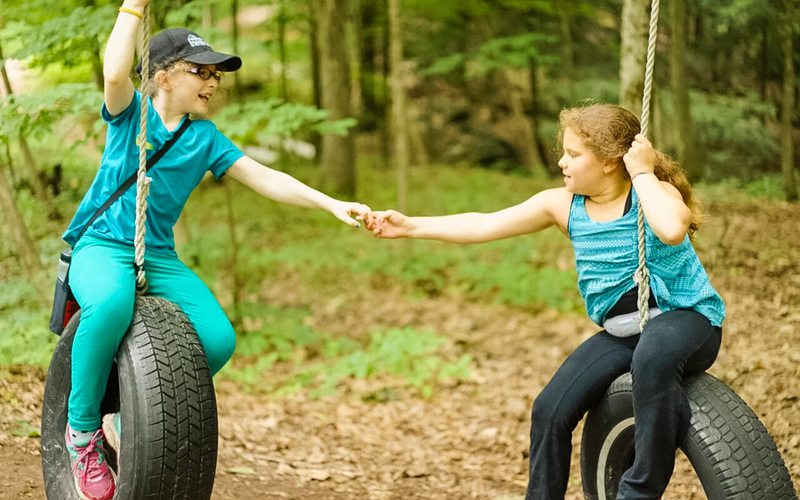 When all the bunks in camp have completed low ropes they can move to our high ropes course which has a climbing wall with two sides, a vertical jungle gym with tires and rope, and three, high tight ropes. The high ropes course is built for individual challenges. Camp also has a zip-line that spans over the Sprout Creek to the other side of camp.